I am the secretary of a collectors' group in Cincinnati, but I am wondering if there are other similar organizations around town. 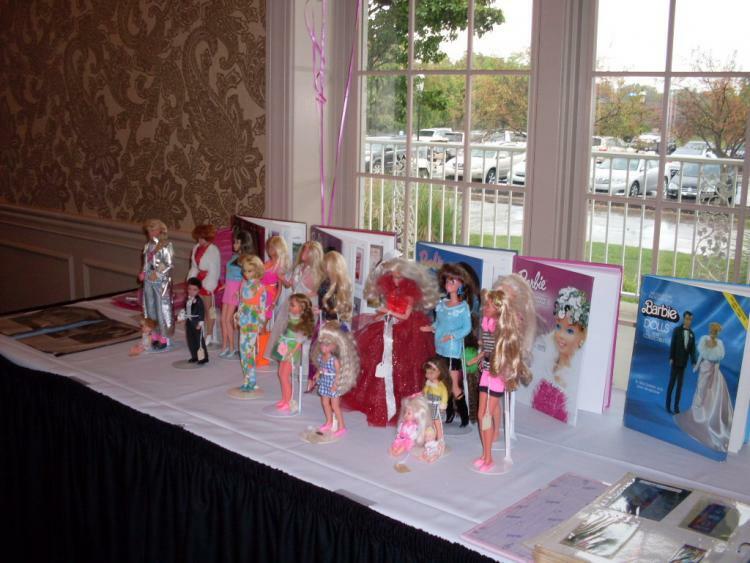 The group I belong to is the Queen City Barbie Doll Club, which has meetings once a month at the Sharonville Library and has a doll show and sale every April at the nearby Holiday Inn. Are there other types of groups such as this? I know there used to be one for people who owned radio-controlled airplanes, but I don't know if it is still in existence. Sounds cool! Do you have any pictures from your own collection? I found this article in the July 19, 2011, Cincinnati Enquirer, about model rocketry. I knew there was a radio-controlled airplane group! are there two of them? It looks like there is another model airplane group. The National Muzzle Loading Rifle Association is based between Cincinnati and Louisville. Two Barbies from each decade: 1960s, bubblecut and Twist N Turn; 1970s, Malibu and SuperStar; 1980s, Peaches N Creme and the first Holiday; and 1990s, Totally Hair and Teacher. Plus the basic Barbie family: her siblings Skipper; the twins Stacie (AKA Tutti) and Todd; little Kelly (AKA Chelsea and Shelly); baby Krissy; her cousins Francie and Jazzie; and, of course, her boyfriend Ken and his little brother Tommy. The Francie doll is from my childhood. She has the short blonde hair and is wearing the wild print minidress with matching tights. I bought all of the other dolls and all of the outfits as an adult collector.